Holy Crap! Disney Buys Lucasfilm! 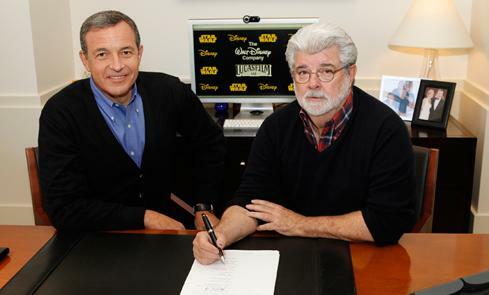 In a move no one saw coming, Disney signed a deal to buy Lucasfilm today for 4 billion dollars, which includes all of Lucasfilm’s trademarks such as the Star Wars franchise and Indiana Jones, as well as Skywalker Sound and ILM. They then announced that Lucas has been working with Disney execs in planning out more Star Wars movies, something Lucas previously said would never happen, with the first, Episode 7, being set to release in 2015 kicking off a new trilogy. I’m absolutely floored right now. I actually checked to make sure this wasn’t a prank, then I checked the calendar to make sure it wasn’t April 1st, but it’s real. You can check out the details along with a video here.